One of the best ways to help add nutrients back into your soil is to start a compost pile to create your own homemade fertilizer. This is simple to do, and it’s also a great way to be able to reduce waste while improving your soil at the same time. Building your own compost pile is the cheapest way to add nutrients to your soil, but it does take time for materials in the pile to break down enough that you can use the compost in your garden. Depending on how late in the season you start creating your compost, you might not be able to use your own compost for your first planting season, but if you start building a compost pile now, you’ll have wonderful nutrient-rich compost to add to your garden for next year. 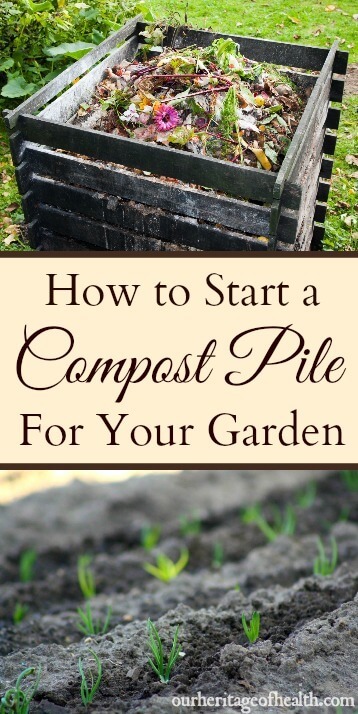 You can choose to start a compost pile inside of a container or you can simply create a free-standing pile in a corner of your yard. Containers can be good for keeping the pile neatly in one place, especially if you have a smaller yard and want it to look tidy, and they can also help to keep animals out of the pile. You can buy containers at your local garden center or hardware store, or you can simply use something like an old garbage can. If you don’t want to have to buy or find a container, though, you can also just create a pile without one anywhere in your yard. That’s what I decided to do for my own garden. You just want to make sure you’re compost pile is close enough to your garden that it’s convenient to add the compost to your soil. 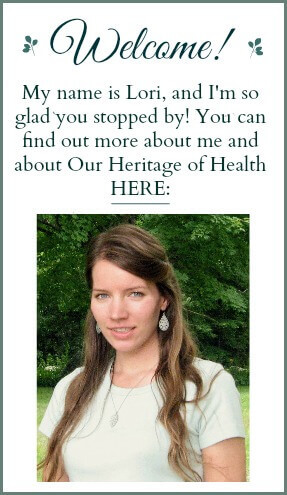 You also want it in a place, though, where it’s not right near your patio or picnic table or anywhere where the smell might bother you. A healthy compost pile shouldn’t smell horrible or putrid, but it might not be the most pleasant of scents if you’re having guests for a backyard party. It’s also a good idea to find some sort of small container that you can keep handy in your kitchen for putting your food scraps in until you’re ready to go outside and add them to the compost pile. You don’t need anything fancy, just something to keep them in temporarily so you don’t have to make a trip out to the compost pile every time you prepare food. When it comes to deciding what to put in your compost pile, you want your compost to have a fairly even mixture of nitrogen-rich “green” materials and carbon-rich “brown” materials. Green materials include things like fruit and vegetable scraps, coffee grounds, tea leaves, and egg shells. Brown materials include things like leaves (the brown, dry leaves), twigs, straw, wood shavings, and shredded paper. And while you can add many different things to your compost pile, there are some things that don’t belong in your compost. The following lists include some of the items that you CAN and CANNOT add to your compost pile. And there are some things that are ok to add to your compost pile, but they’re just not the best idea. Weeds, for example, might end up germinating and sprouting in your soil, and large branches or sticks can take a very long time to break down into compost. Start your pile off with a layer of the “brown” materials (dried leaves, twigs, straw, etc. Cover your “green” layer with another layer of “brown” materials. 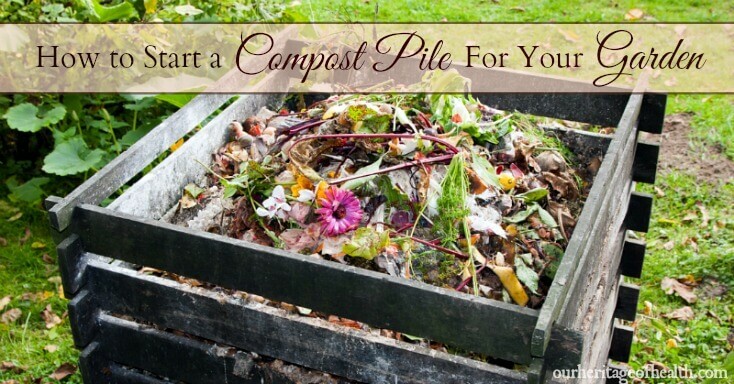 Add some soil to your pile to help with the decomposition process. Using a hose or a bucket, add some water to your pile to give it some moisture. Keep adding to your pile regularly with additional “green” and “brown” material, and add water as needed to keep the pile moist. Use a shovel or a garden rake to stir up or “turn” the pile frequently to aerate it. It can sometimes take several months for your compost pile to be ready to use, but there are a few things you can do to help speed up the process. The first thing you can do is to chop or shred materials before adding them to your pile because the smaller they are, the more quickly they will be able to break down. If you were to add whole carrots to your compost pile, for example, it would take months for those to break down, but if you added carrot peels or small pieces of chopped carrots, those would break down much faster. Another tip for faster composting is to make sure that your pile is large enough. A pile that is close to three feet wide and three feet high will allow the materials to heat up and decompose faster than they would in a smaller pile. A third way to make your compost pile break down faster is to give it plenty of moisture and air by watering it to keep it moist and by turning it often. The more moisture and air you add to the pile, the faster you will encourage the microorganisms to work to break down your materials into usable compost.